Provide comfort for the family of Douglas Weiss with a meaningful gesture of sympathy. Douglas A. Weiss, 76, of Cross Plains, Texas passed away on Thursday, March 28, 2019 in Weatherford, Texas. Funeral service will be held Saturday, March 30, at 2:00 PM at the Higginbotham Funeral Home Chapel burial will follow at the Cross Plains Memorial Park in Cross Plains, Texas. Doug was born April 12, 1942 in Cross Plains, Texas to the Late Thomas Carl and Blanche Ophelia Andrews-Weiss. He worked for 3M Manufacturing in Brownwood, Texas. He retired after 25 years in 2004. Doug was an avid deer and elk hunter. He enjoyed sports, especially baseball and softball. He enjoyed watching kart racing. He loved playing his guitar and shared his love of that with his children and grandchildren. He made many friends and had many laughs at Jean’s Feed Barn where he had coffee daily. He was loved by many and will be sorely missed. The family would like send a special thanks to Eddie Strickland for being such a special friend to Doug and to Donnie Dillard for going over and beyond taking care of all of Doug Medical Care. Doug was preceded in death by his parents, Thomas Carl and Blanche Ophelia Andrews-Weiss; brothers, Edwin Weiss and Donald (Buddy) Weiss; sister, Dixie Corley and her husband, RD. 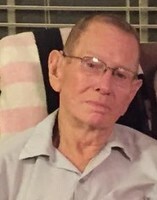 Doug is survived by his sons, Kevin Weiss and his wife, Judy of Azle; Chuck Weiss and his wife, Tonya of Azle; daughter, Beverly Collier and her husband, Kent of Haughton, LA; foster daughter, Tonya Smith and family of Clovis, NM; grandchildren, Bryan and his wife, Yazzy; Kynzie; Tanner and his wife, Mary; Caitlyn; Matthew; great grandchildren, Brooklynn; Sidney; Brylee; sister, Joan Brown of Rising Star; Wilburn Weiss and his wife, Glenda of Cross Plains; numerous nieces, nephews and Friends. To send flowers in memory of Douglas A. "Doug" Weiss, please visit our Heartfelt Sympathies Store. 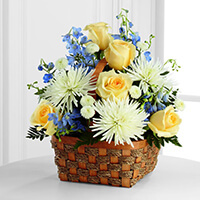 Wayne & Paula and Your Transportation Family have sent flowers to the family of Douglas A. "Doug" Weiss. Wayne & Paula purchased the The FTD Heavenly Scented Basket for the family of Douglas Weiss. Your Transportation Family purchased the The FTD Loving Light Dishgarden for the family of Douglas Weiss.